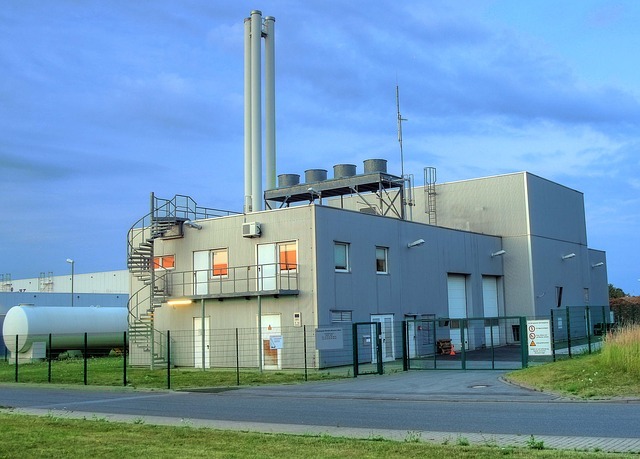 The exclusive technology DRYER ONE, developed by Belgium company Technic One, enables the precise drying and processing of a large range of forest and agricultural products, in addition to the recovery of waste materials. It operates bu loading the material to be dried onto a rotating plate through which passes a hot air flow. 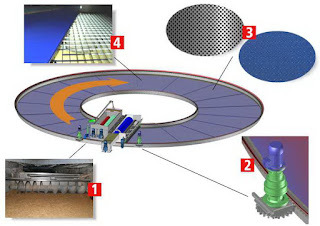 After a 360° rotation, the partially dried material is transferred onto a second plate where it is rotated again, thereby completing the drying process. Various control processes are used to ensure the good working and to reach the desired moisture content of the product. Typical drying applications are wood waste, wood shavings, sawdust, maize, coffee grounds, brewer's grain, corn, soy, seeds, rice, and barley. IN - The lower rotating plate is loaded with the material to be dried. LOWER LEVEL DRYING - The material is rotated by 360°. 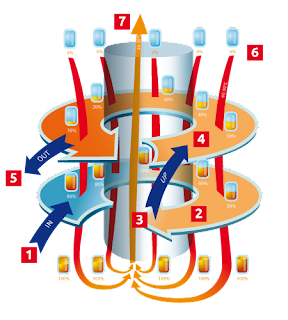 UP - The material to be dried is transferred towards the upper plate by a bucket elevator or a vertical screw conveyor. HIGHER LEVEL DRYING - The material is rotated 360° by the upper rotating plate, moving in the opposite direction to that of the lower level plate. 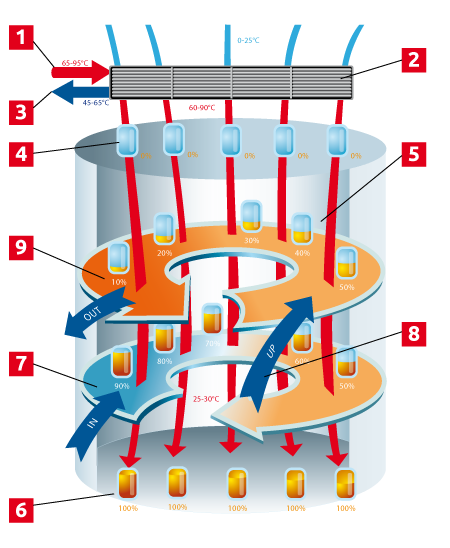 This exclusive technology ensures better distribution of heat and greater efficiency than other hot air drying techniques. OUT - The dried material is exited towards the packaging or storage area. HOT AIR FLOW - The hot air is sucked from the top to the bottom creating a counter current. It successively crosses the higher and lower level plates. RETRIEVAL AND EXPULSION OF AIR SATURATED WITH MOISTURE - After passing through the two plates the saturated air is pushed upwards for expulsion. If necessary, filters suitable for residual particles can be installed at the final stage of the process. Hot water is brought from a cogeneration unit. The heat exchanger transfers the heat from the hot water into ambient air. The heated air is then drawn into the dryer. Cooled water evacuation after exchange. The incoming air is dry and hot (60-90°C)(140-194°F). The reverse counter-current air flow (moving from the top to the bottom of the dryer) presses through material laying on the rotating plates, this largely prevents dust dispersion. The outgoing cooled air (25-30°C)(77-86°F), almost completely saturated with moisture, is evacuated via the central chimney. The first rotating plate gradually and partially evaporates the moisture. Material is transferred from the lower plate to the higher plate via a bucket elevator or a vertical screw conveyor. During the transfer, the material is rotated and mixed, providing better quality and even drying. The second rotating plate completes the drying process and allows the hot air to absorb residual moisture. ROTATION OF MATERIAL - Each drying plate is equipped with a screw conveyor which thoroughly rotates and mixes the material to be dried. This process provides more even and better quality drying. ROTATION SYSTEM - Each rotating plate is driven by a gearmotor, which ensures a constant rotation speed with complete reliability. PLATE COVERINGS - The rotating plates are covered with a highly resistant synthetic grooved surface or stainless steel perforated sheeting. The load loss of the material to be dried is lower than that of the covering, leading to better diffusion of the hot air flow across the whole surface. Moisture can be extracted gradually, without thermal shock. The more even humidity level is one of the main advantages of DRYER ONE™. The coverings can easily and quickly be replaced. ROTATING METAL PLATES - The rotating plates have a stainless steel grated structure with a planarity much greater than that of conveyor belts. They have high resistance to load stress and corrosion. The grated structure is divided into segments of equal size, making it much easier to carry out maintenance work or replacements in the space of just a few minutes. 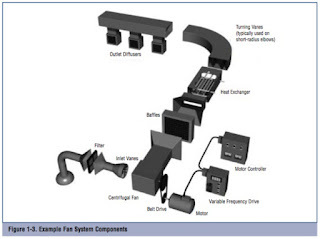 For more information on the Dryer One system, contact Process Systems & Design by calling (410) 861-6437 or visiting https://www.processsystemsdesign.com.